Real Motor New Zealand in a New Zealand owned and operated company specialising in wholesale vehicles, vehicle certification, mechanical repairs and warrant of fitness. They have two sides to their company which have separate clientel. A whole branding package was needed to reflect this. As Real Motor New Zealand has two sides to the company, wholesale and compliance, we had to make sure our branding and marketing reflected this. Two logos were produced for each side if the company, but working with the design to make sure they didn't seem like two separate companies. 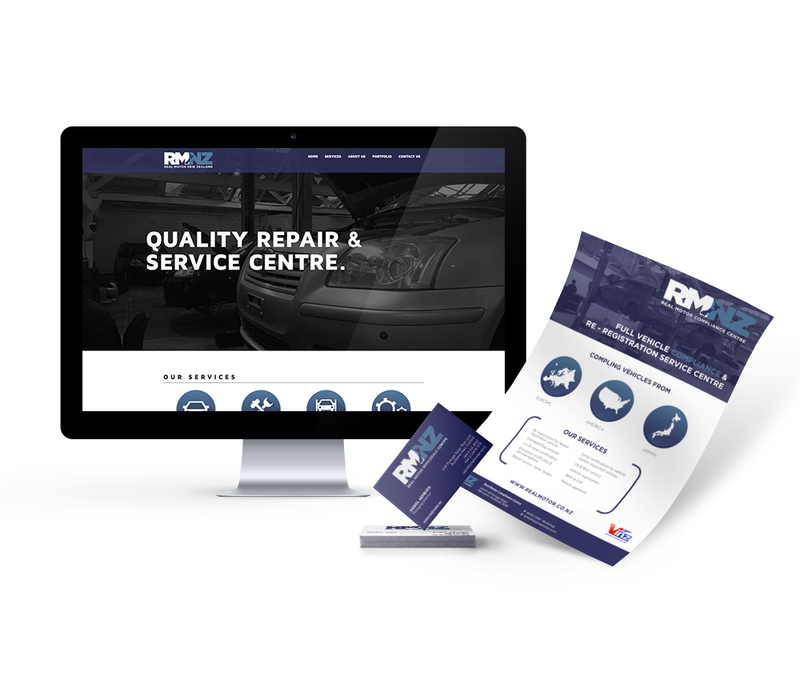 The branding design then incorporated well into a new CMS driven, responsive web platform for the business.